I am not of fan of this book for a few reasons. 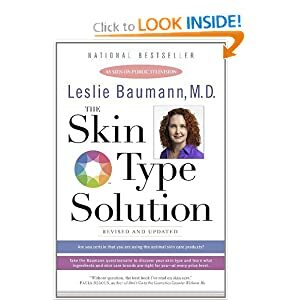 This book has a questionnaire that helps you determine your skin type. I am hesitant about the average person taking the questionnaire because they don’t have the experience that a Dermatologist or Esthetician have in determining skin types. If you take the questionnaire and think you are answering correctly and you are not then you could come up with the wrong your skin type as your answer. There is a big difference between combination skin and oily skin. Also, I don’t like that she states that there are 16 skin types. Everything else is a skin condition, such as, pigmentation, wrinkles, acne, etc. Her information on prescription products, facials, chemical peels, Retin-A, Botox, and Restylane injections is okay nothing new.